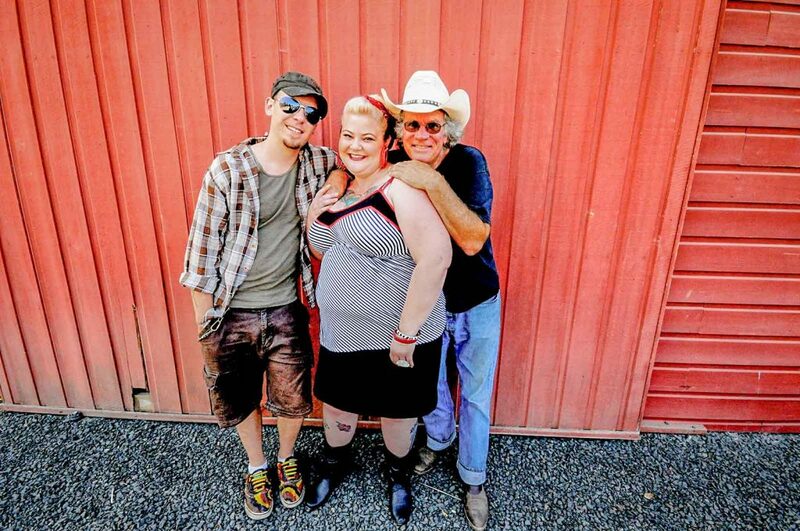 The Joanne Broh Band boasts some of the Pacific NW’s finest blues musicians. 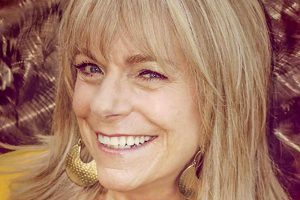 Joanne Broh, a two-time winner of the Rainy Day Blues Society Female Blues Vocalist award, is a column of energy, known for her powerful, soulful voice and the passion of her performances. Jerry Zybach, providing unwavering, impeccable guitar leads, Jime Badalich on bass and Dan e. Miller on drums are the solid and imaginative anchoring rhythm section. Gus Russell, keys, plays exactly what is needed, and tasty to boot. Guest artists include blues harp players Hank Shreve and Mitch Kashmar, Dana Heitman (Cherry Poppin’ Daddies) on trumpet. Dave Bender, Sean Flannery, and Linda Kanter are the first-rate horn section. 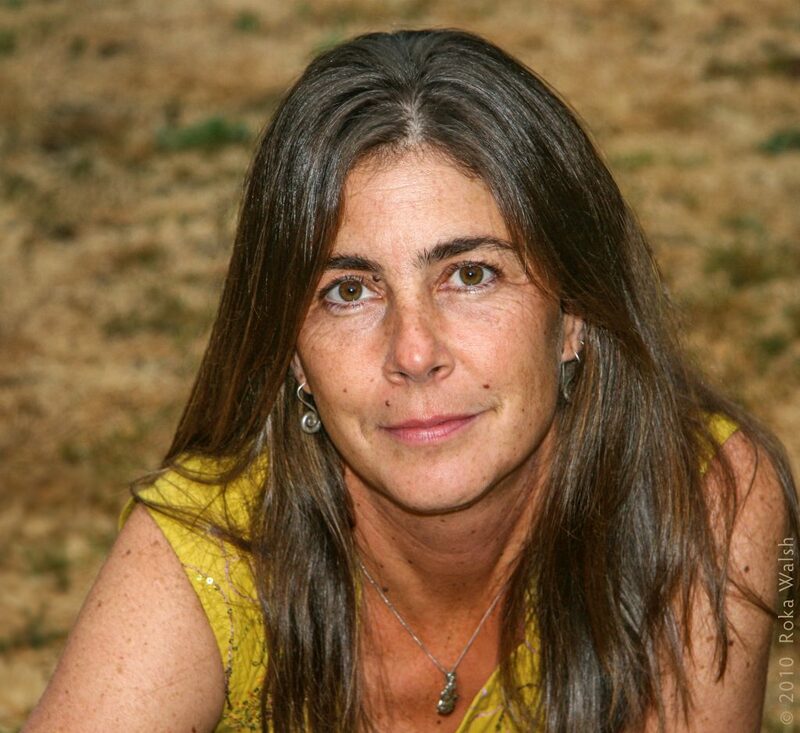 With musical interests that span anything from folk to bluegrass to jazz to kirtan and accompanying herself on guitar, harmonica, banjo, and harmonium, Laura Kemp has been a fixture on the music scene since moving to Oregon in 1990. She began playing guitar at the age of 8, eventually honing her skills in cafes and pubs as well as busking on the streets in Europe. Since then, she has gained a reputation as one of the finest performers on the west coast, performing on numerous stages throughout the country, from Passim in Cambridge, MA and CBGB’s Gallery in NYC, to The Great American Music Hall in San Francisco, Bumbershoot Festival in Seattle, and the main stage of Eugene’s Oregon Country Fair. 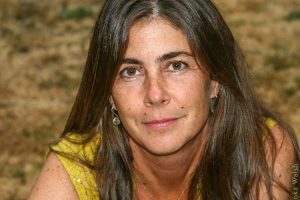 She has produced 7 studio and two live CD’s as well as won the Eugene Weekly’s annual poll for Best Singer-Songwriter too many times to keep track of. 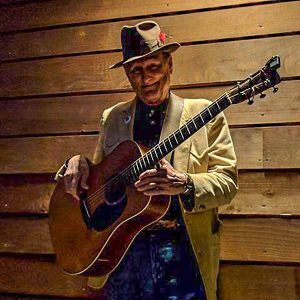 Ramblin’ Robert Paslay has been a professional musician for 48 years, playing guitar, mandolin, and harmonica. 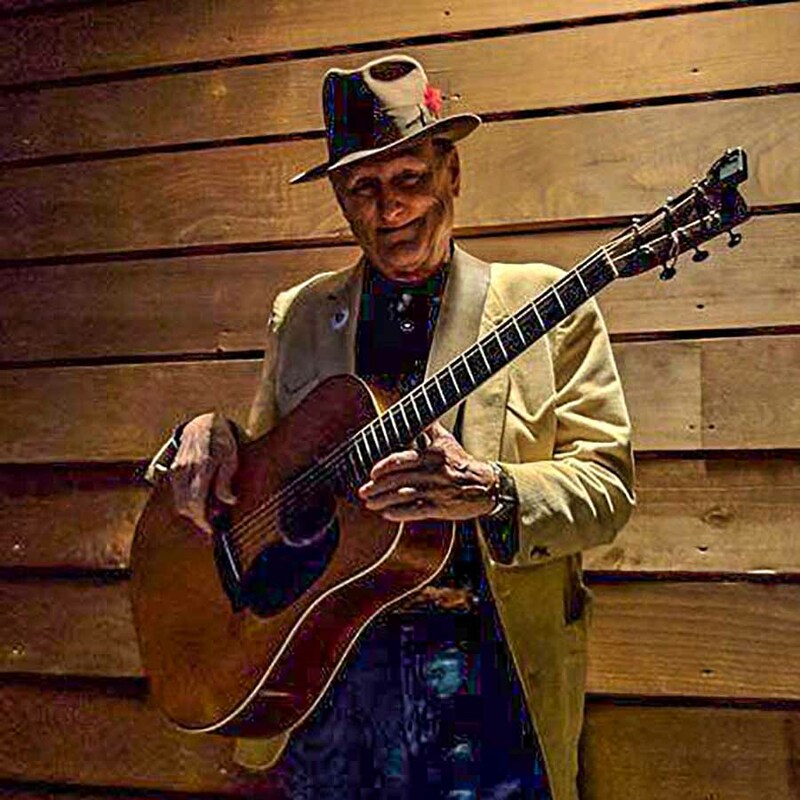 He is a singer songwriter original from Colorado, but has lived in eight states. He has soaked up music styles from coast to coast, playing everything from bluegrass to blues, jazz, Motown, country, rock n roll and reggae. Paslay has a special affinity for music and songwriters from New Orleans like Allan Toussaint, and the late great Fats Domino. 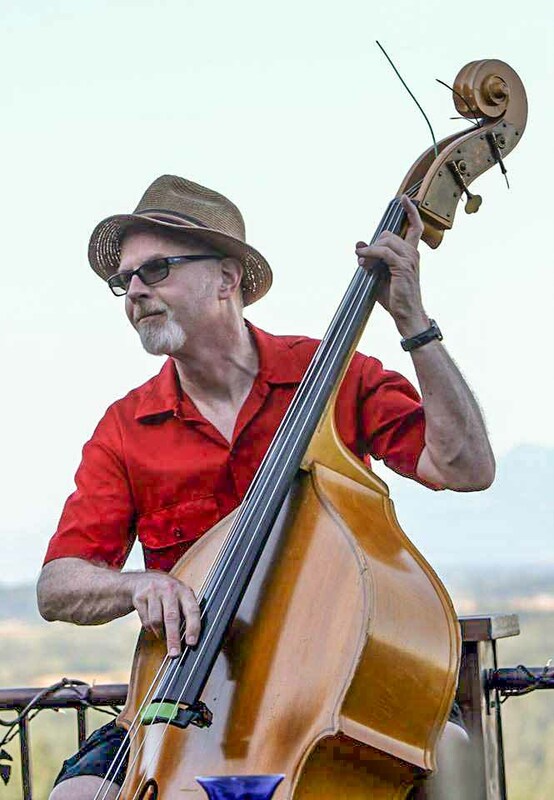 Scoop McGuire is a Eugene resident, bassist, songwriter, producer and CEO of Fluke Records “If it’s a hit then it’s gotta be a Fluke”. Dream is a selection from his upcoming solo album, “Trashcan Serenade”, an instrumental project recorded in his small home studio. For years now, Scoop missed hearing instrumental singles that once made up a good sized portion of radio airplay. She’s Taken is the project of songwriter and multi-instrumentalist Steven Dytewski. His intentions are to combine the elements of rock ‘n’ roll with panoramic synth textures. Originally conceived in 2012, Steven began playing shows in the California Bay Area. In 2015 he took his project to Eugene, Oregon. 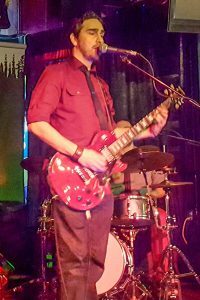 Musical influences include 80’s new wave and post-punk bands like the Cars, Billy Idol, the Cure, the Sound, and Interpol. Session musicians include Benjamin Shackelford on bass and Jason Petersen on drums. Recently Steven has formed a live band for performances. 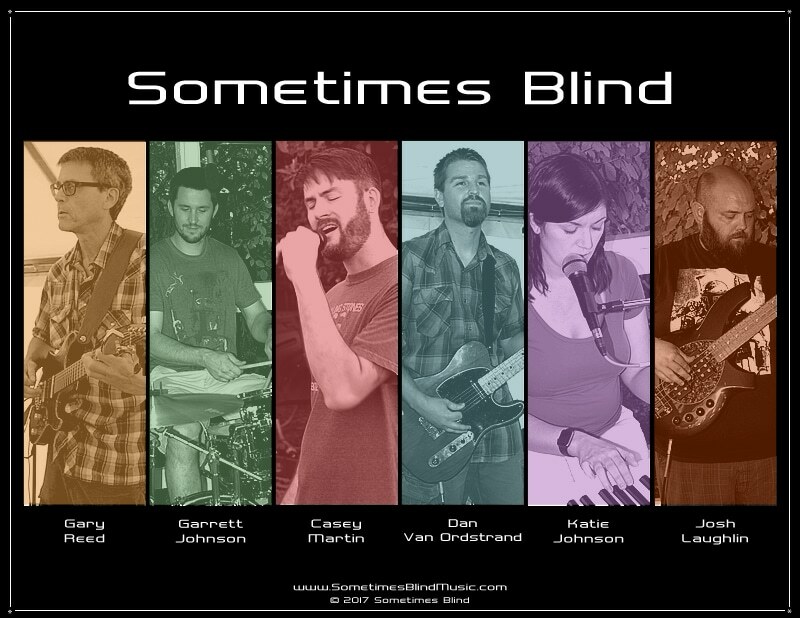 Sometimes Blind is an alternative rock band that originated during a living room jam night in Springfield, Oregon in the early months of 2017. Dan Van Ordstrand and Garrett Johnson were invited to play at their friend Gary Reed’s house, where Casey Martin was also participating. Dan played some of his songs that had been written with Garrett in their previous band, The Balloon Room. The jam night proved to have an impact on all four musicians, as they all agreed to continue to get together and play through the songs. Soon after, Garrett’s wife, Katie (and sister of Casey), asked to join on piano and backing vocals, and Josh Laughlin was asked by Garrett to play bass. With an initial line up of songs written by Dan and Garrett during the Balloon Room years, the band began to rehearse weekly, growing their set list and recording a seven-song EP, which was launched on their website on August 1st, 2017. 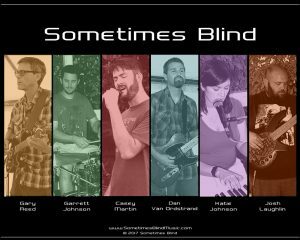 To date, the band consists of Dan Van Ordstrand on rhythm guitar, Garrett Johnson on drums, Casey Martin on lead vocals, Katie Johnson on backing vocals and piano, Josh Laughlin on bass, and Gary Reed on lead guitar. 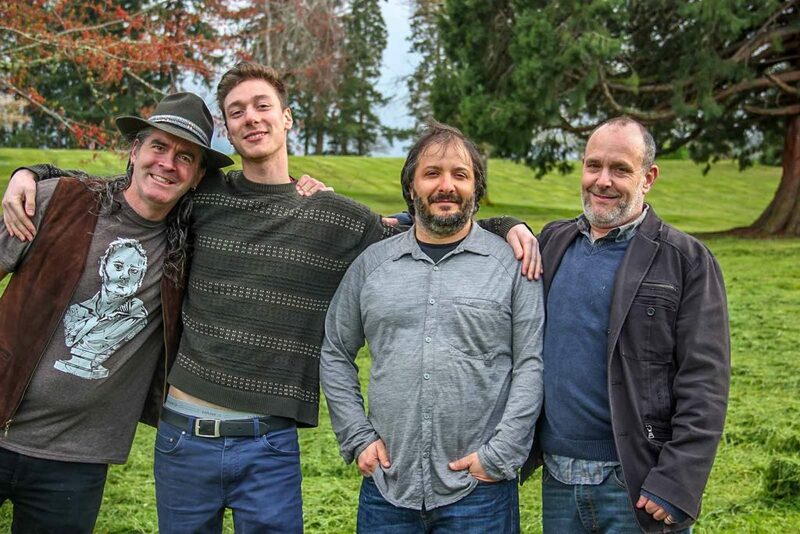 Sonic Bent describes its music as “Progressive Jam with a splash of cry in your beer Americana.” Sonic Bent was formed in Eugene, OR in 2011. 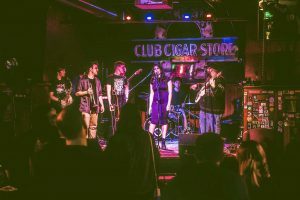 The band consists of Jeff Alberts on percussion and vocals, Noah Kamrat on bass, Alex Weston lead guitar, Patrick Kavaney, lead vocals, guitar and songwriting duties. 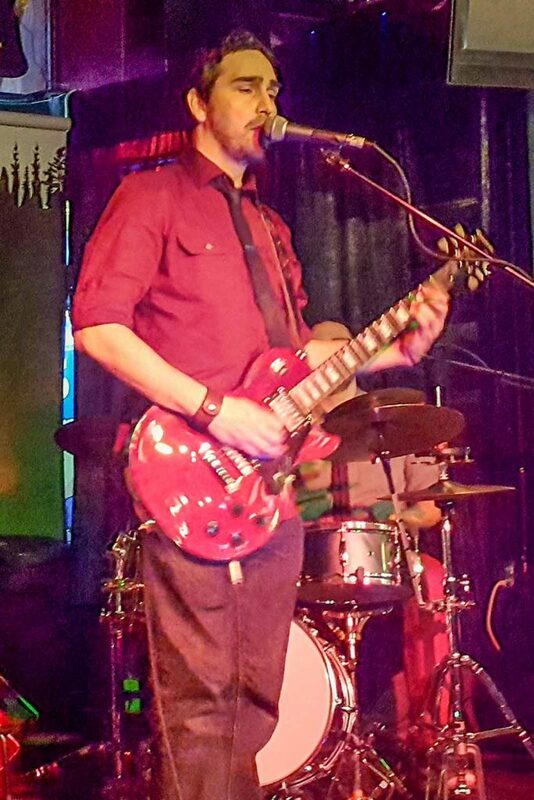 Keenan Dorn was lead guitarist on the Begging for Rain track and was lead guitar with the band over the last 2 years. 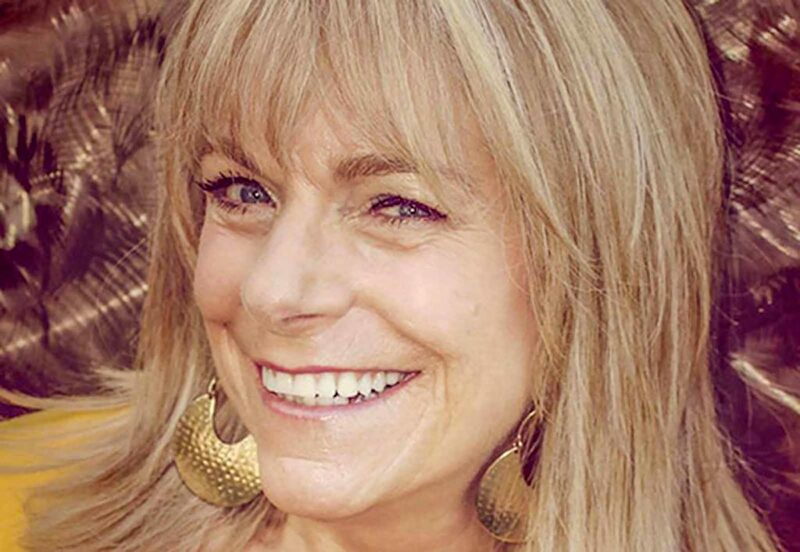 SB dabbles in a variety of genres from jazz-rock to Americana to Floyd-esque psychedelic ambient. With strong hooks and attention to well executed vocal harmonies, the band prides itself in powerful originals that take the listener on adventurous trips sonically and narratively. Time Travel Memoirs, their latest offering recorded with Beau Eastlund (truly a fifth member of the band) at the helm at Golden Lab in Springfield, OR. What began as a weekend jam session among University of Oregon students in 1990 has become Eugene’s own community band creating the musical backdrop to countless celebrations, rites of passage, kickoffs, rallies, and tributes. Woven from the foot-stomping traditions of Bluegrass, Celtic and old-time fiddle music to the worlds of Motown, gospel, country, folk and pop, The Sugar Beets have been moving audiences all over the Northwest with original tunes and fresh and inspiring sounds. Secret to Happiness was written by Emery/Chilla. 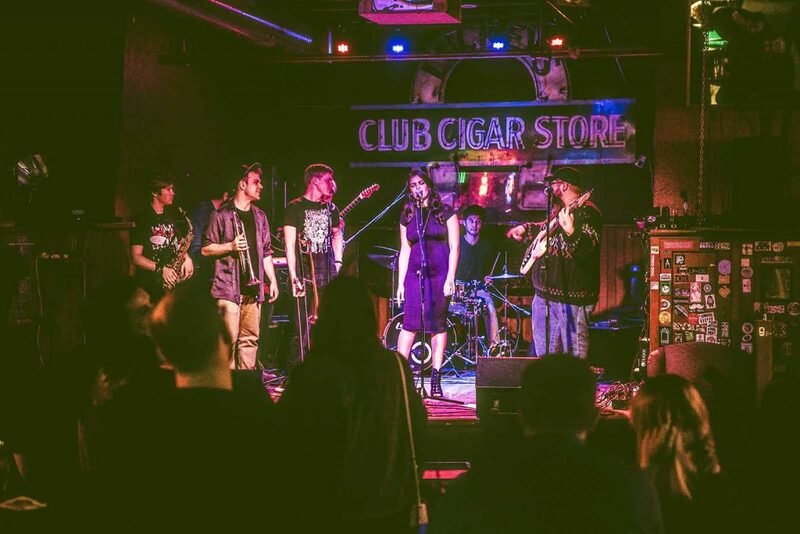 The Sunday Bump is an 8 piece neo-soul fusion band from Eugene, Oregon dedicated to pushing the boundaries of Funk, Jazz and Pop to the absolute limit. Lead vocals: Souvagini Paul; Trumpet: Charles DeMonnin; Trombone: Sam Dale: Tenor Sax: Chris Casaceli; Guitar: Luke Broadbent, Keenan Dorn; Bass/vocals: Ian Lindsay; Keys: Max Pinder; Drums: Justin Kiatvongcharoen, Ken Mastrogiovanni. Whopner County was founded in 2001 by Gregg Vollstedt in Fall Creek, Oregon. Originally a classic country tribute band, over time their sound has gone through many transformations. What used to be a 5-person ensemble is now a power trio. The band consists of Gregg Vollstedt on electric guitar, Ken Howe on drums and Sara Scofield on vocals. Both Gregg and Sara grew up in Eugene and Ken is a transplant from Colorado. The three have played together for over 10 years and have a cohesive sound that only comes from knowing each other so well. The trio performs a rocked out set filled with rock n roll, contemporary indie, and alternative rock. They also still play classic country tunes and originals from the old days of Whopner, but new grungier versions. 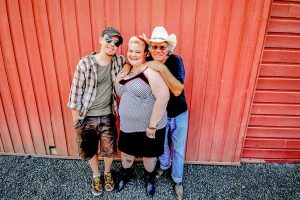 Whopner County’s original songs have elements of rock, blues, country, and soul. In 2016 they recorded their first studio EP as a trio, entitled “Everything Matters Very Little”.